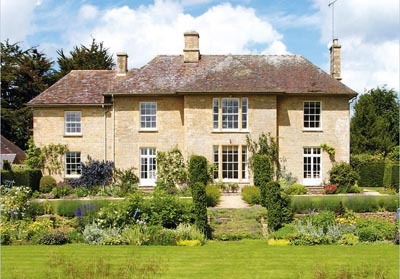 Back in the spring, Jonathan Bramwell of The Buying Solution flagged up ‘a real dearth’ of fresh country property for sale in the north Cotswolds-especially in the ‘golden triangle’ between Oxford, Chipping Norton and Stow-on-the-Wold. On the other hand, a much greater supply of new houses coming to the market in the south of the region, especially around Cirencester and Malmesbury, was expected to spur some increasingly frustrated buyers into action. Three exceptional houses launched in Country Life (May 1) hit the headlines in the spring and early summer. 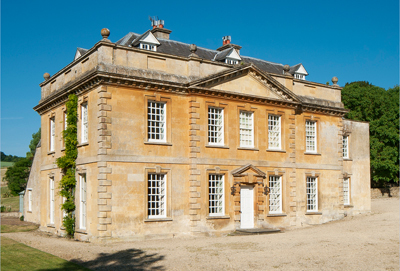 First out of the blocks was the handsome, late- Georgian Haughton House at Churchill, near Chipping Norton, Oxfordshire, which sold ‘under stiff competition’ to a buyer with local school commitments, through Savills, at a guide price of £3.3m. Once part of the prestigious Sarsden estate, the substantial former curate’s house, listed Grade II, was built in 1830 by James Haughton Langston, who inherited the estate in 1812. For Mr Fanshawe, ‘the surprise of the spring’ was the sale of Grade II*- listed Holcombe House at Painswick, five miles from Stroud, Gloucestershire, through Strutt & Parker, for well over the guide price of ‘excess £2.25m’ to an English family looking to downsize, for whom ‘the opportunity to be part of the comfortable local fabric was just too appealing’. It’s a timeless 17th-century Cotswold clothier’s house with typical pointed gables, grey walls and mullioned windows, but is in need of updating. Shortly afterwards, another of the county’s sleeping beauties, Grade II*- listed Brownshill Court at Wick Street, near Painswick, was sold, also through Strutt & Parker, to another local family for ‘considerably more’ than its £2m guide price, after some fierce competitive bidding. Originally part of the Brownshill estate established by the Palling family in the mid 17th century, Brownshill Court, built in 1760, needed substantial renovation, the cost of which was estimated at a further £2m. But it’s not just the buyers who’ve been quick off the mark this year; some vendors have been turning things around quickly, too. 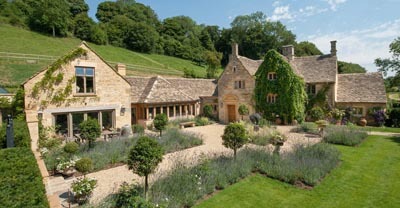 A guide price of ‘excess £8m’ looked a bit daunting when Georgian, Grade II*- listed Broadwell Manor, near Stow-on-the-Wold, Gloucestershire, was launched on the market to general acclaim in Country Life (May 2, 2012). But it was precisely the kind of house that had been missing in this sought-after area of the Cotswolds, and it was quickly snapped up for more than the guide after some ferocious bidding. But a sudden change of circumstances has brought this most lovely of 18th-century manors back to the market through Knight Frank (01285 659771), this time at a guide price of £6.95m. The honey-coloured stone house stands on a site owned by Evesham Abbey from 708 until the Dissolution, when it reverted to the Crown. The original late-Tudor manor burnt down in the mid 1700s, and was rebuilt in its present form in 1757, with 19th- and 20th-century additions. The imposing, eight-bedroom house stands in 35 acres of landscaped gardens, grounds and paddocks and comes with a studio, four cottages and stabling. Back in the south Cotswolds, The Garden House, with its 70-acre equestrian estate, in Beaufort Hunt country at Westonbirt, three miles from Tetbury, Gloucestershire, was last launched in Country Life on May 4, 2011, through Strutt & Parker at a guide price of £5m. Built in 1939 in the former nursery garden of Westonbirt House, this is the last complete house designed by the Arts-and-Crafts architect Norman Jewson and is, according to Pevsner, one of his best. It was bought by a sporting family, who now plan to move north, and is back on the market with Savills (01285 627550) at a guide price of £4.75m. Jewson’s masterpiece has been completely rejuvenated by the vendors, who have opened up and reorganised the previously rather sombre interior with the lightest of touches. The Garden House boasts an impressive entrance hall, three reception rooms, a family-friendly kitchen, a breakfast room, a media room, six bedrooms and four bathrooms. Two staff flats have been created in the pretty Clock House, with The Old Forge providing additional three-bedroom accommodation. The 70 acres of grounds include landscaped gardens and grounds, a tennis court, extensive stabling and outbuildings, a full-size polo pitch and a number of beautifully maintained post-and-railed paddocks. 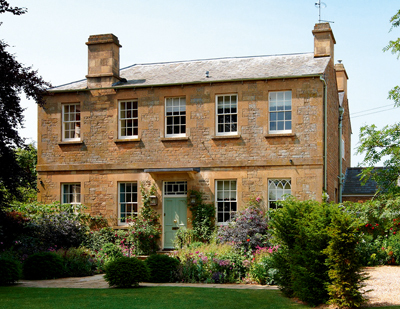 Buyers who despair of ever finding their dream country house in the Cotswolds just need to be patient, says Atty Beor-Roberts of Knight Frank, who reckons that, nowadays, most family houses tend to devolve back onto the market every 5-7 years. One that’s surely worth the wait is pretty, Grade II-listed Willowbrook House at Turkdean, eight miles from Stow-on-the-Wold, which launches this week through Knight Frank (01285 659771) and Savills (01285 627550), at a guide price of £4.95m. Built of Cotswold stone under a stonetile roof, dreamy, late-17th-century Willowbrook House sits in an enchanting wooded valley where, in the time-honoured manner, sheep graze peacefully all year round. 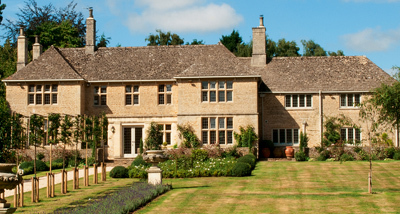 Its owner, Rowena Luard (a legend in these parts for her inspirational renovation of some half a dozen classic Cotswold houses over the past 20 years) bought Willowbrook in 2008, and has skillfully remodelled and extended it, using the finest traditional materials and the latest technology. The house offers four reception rooms, a billiards room, a kitchen/breakfast room, a gym, five double and two single bedrooms, six bath/shower rooms, and gardens redesigned by Tim Rees, a close collaborator of the late Rosemary Verey. A period former rectory on the edge of a quintessential Cotswold village is still many people’s idea of the perfect family house, and this autumn, for the first time in years, there are at least half a dozen fine examples to choose from. In the north of the region, Savills (01865 339700) quote a guide price of £2.5 million for The Old Vicarage on the outskirts of the unspoilt village of Old Minster Lovell, in the heart of the Windrush valley, between Witney and Burford. For sale for only the third time in its history, the former rectory was built in the early 17th century, extended in the early 19th century with the addition of two large wings, and sold away by the Church in 1977. 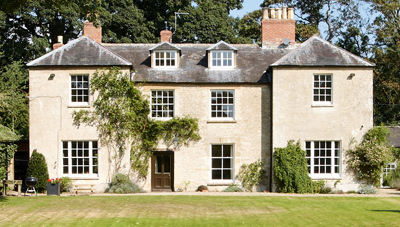 It stands in 3 1/2 acres of lawned gardens and paddock, with views of the church and the surrounding countryside, and has accommodation on three floors, including, in the main house, two reception rooms, a kitchen/dining room, five bedrooms and two bathrooms, with a vaulted reception room and two further bedrooms in the converted coach house. Flyfishers will be happy to dream away the hours on the banks of the Windrush, which flows through the grounds. The Moreton-in-Marsh office of Strutt & Parker (01608 650502) quotes a guide price of £1.95m for the classic Georgian Old Rectory in the pretty village of Cherington on the Warwickshire/Oxfordshire border. Built in about 1830 of Cotswold stone under a slate roof and listed Grade II, the house stands in 2.2 acres of landscaped gardens and grounds in the heart of the village. It’s been beautifully refurbished and modernised by its current owners, and has four reception rooms, a kitchen/breakfast room, four double bedrooms, three bathrooms and a recently converted, one-bedroom coach house. Back in south Gloucestershire, this week also sees the launch of the part-medieval, part-Georgian Old Rectory at Withington, less than 10 miles from both Cirencester and Cheltenham, at a guide price of £3.85m through Jackson-Stops & Staff (01386 840224) and Knight Frank (01285 659771). For London solicitor Christopher Cooke, the purchase of The Old Rectory seven years ago was the realisation of a long-held dream and he is sad that retirement forces him to choose his London home over his much-loved Cotswold retreat. One of his favourite parts of the house is the medieval east wing, especially the magnificent banqueting hall, which was restored by a previous owner when the roof fell in some 30 years ago. The substantial Georgian west wing was built in the 1740s by the Rev John Hayward, who was rector of the village for 60 years. Even now, the former rectory, which stands in 6.6 acres of gardens and woodland, and has 8,000sq ft of accommodation, including five reception rooms, five main bedrooms, three bathrooms, a studio flat and a two-bedroom cottage, remains right at the heart of life in the village.